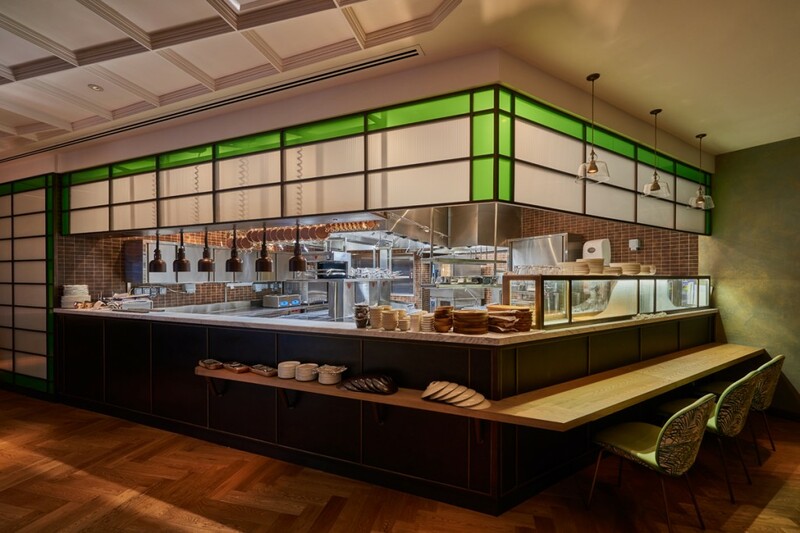 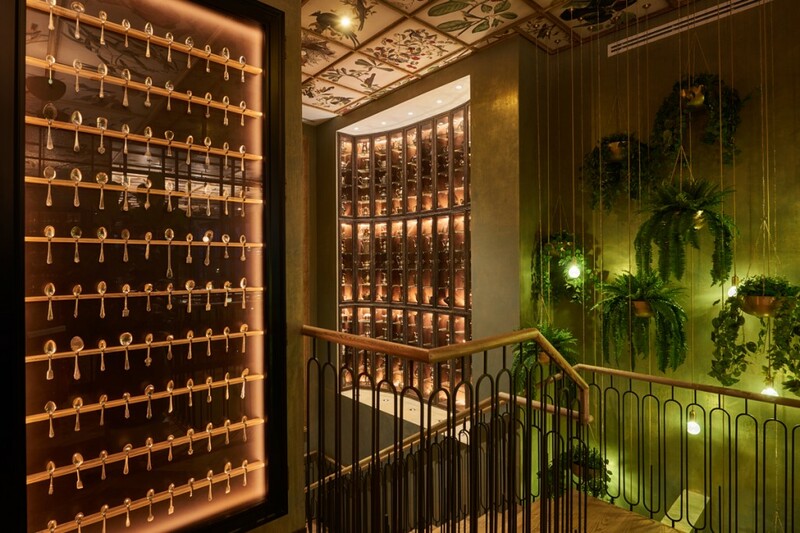 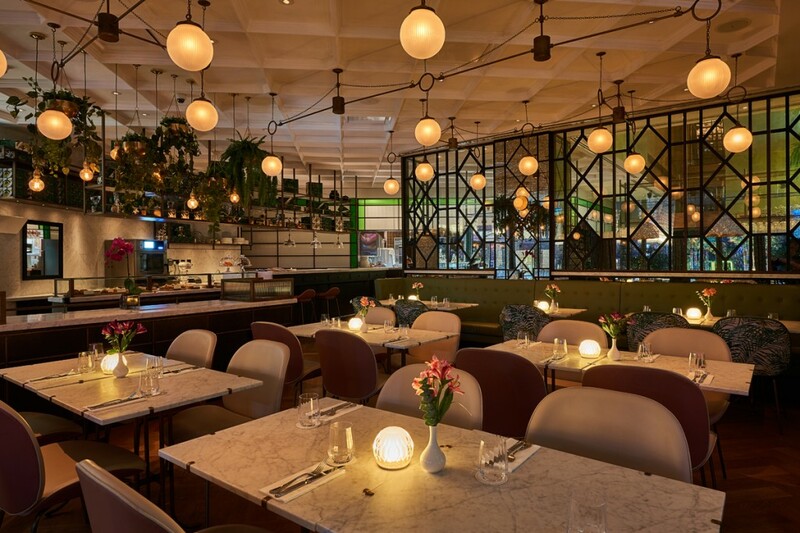 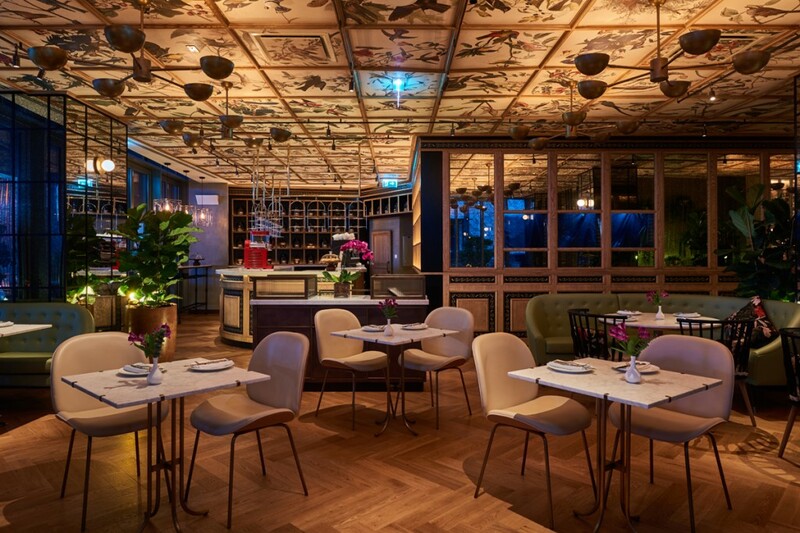 into were appointed as lighting designers to work alongside interior designers Design LSM on Michelin-starred chefs – Chris and Jeff Galvin’s first restaurant venture in Dubai. 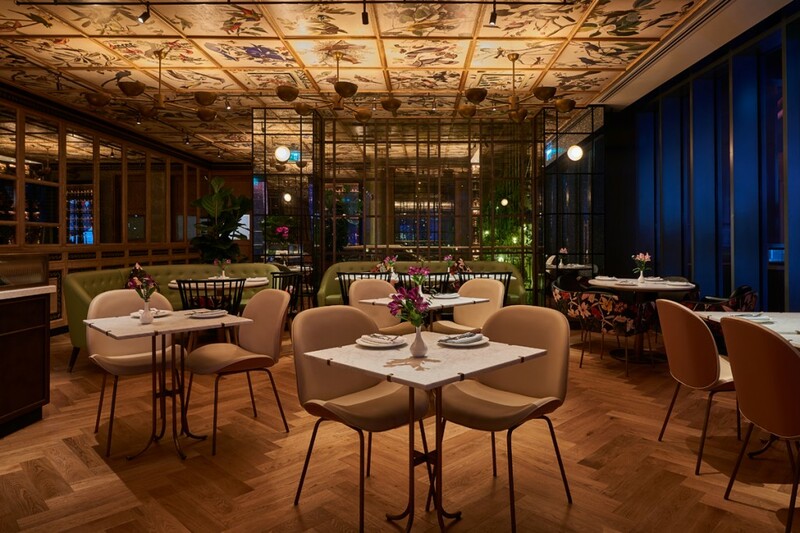 Demoiselle by Galvin combines a modern and stylish aesthetic with a delightfully warm ambience, radiating elegance at every turn. 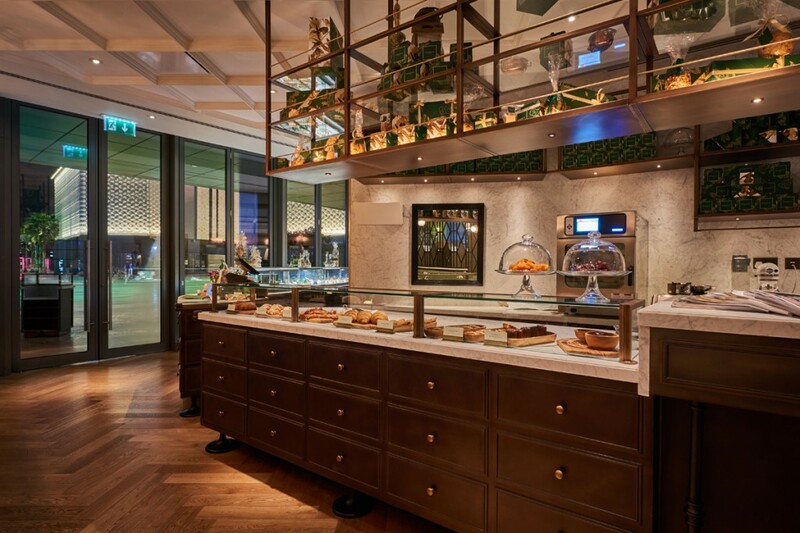 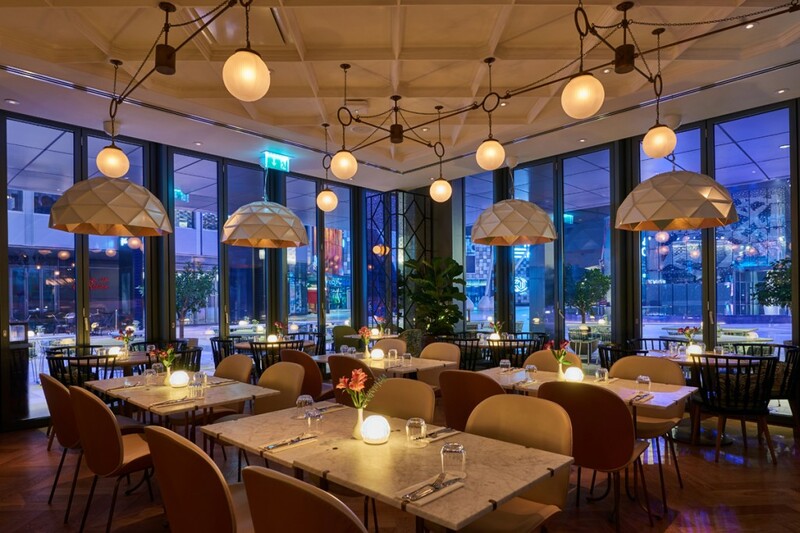 The 210-cover two-floor cafe is located in Dubai’s newest urban living destination City Walk 2.
into realised Design LSM and Galvins’ vision with a lighting concept which delivers a light and fresh ambience during the day, transforming into a warm intimate ambience in the evening. 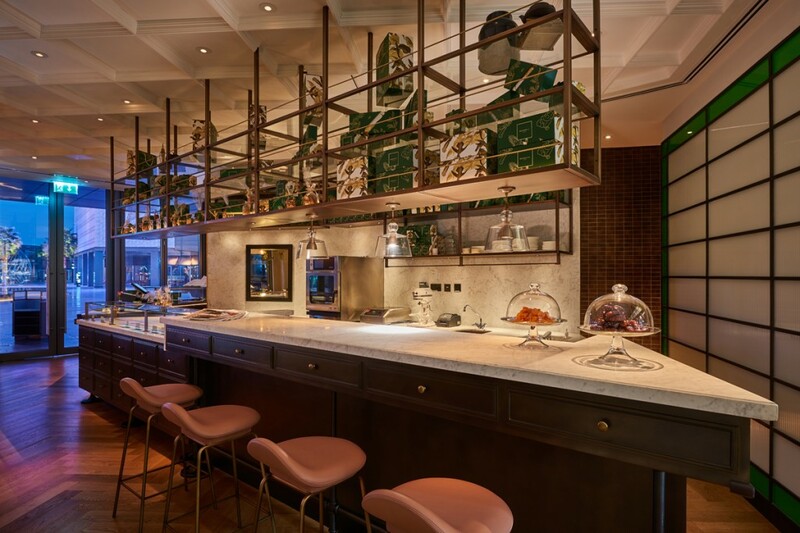 The architectural lighting scheme comprises a bespoke rubbed bronze track and spotlight system coupled with low glare downlights to light dining tables. 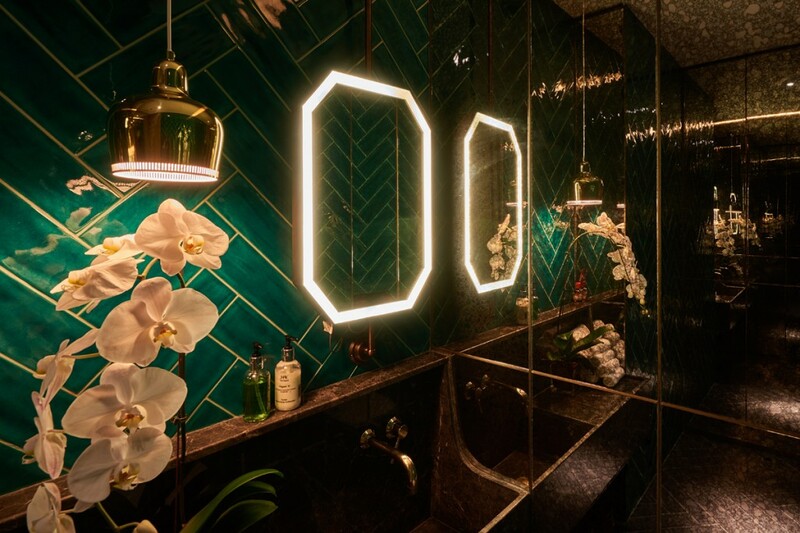 Miniature LED spotlights have been integrated into gantries and display cases. 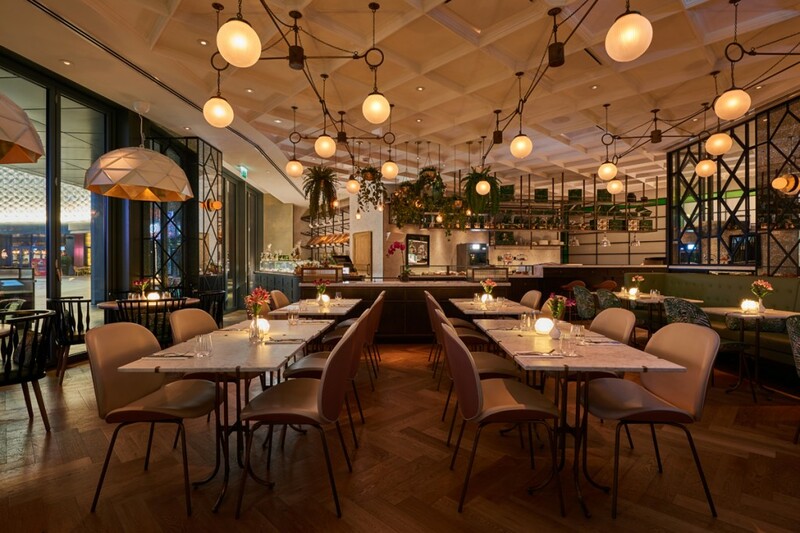 Elegant decorative lighting throughout helps to create a restaurant interior with a very special feel. 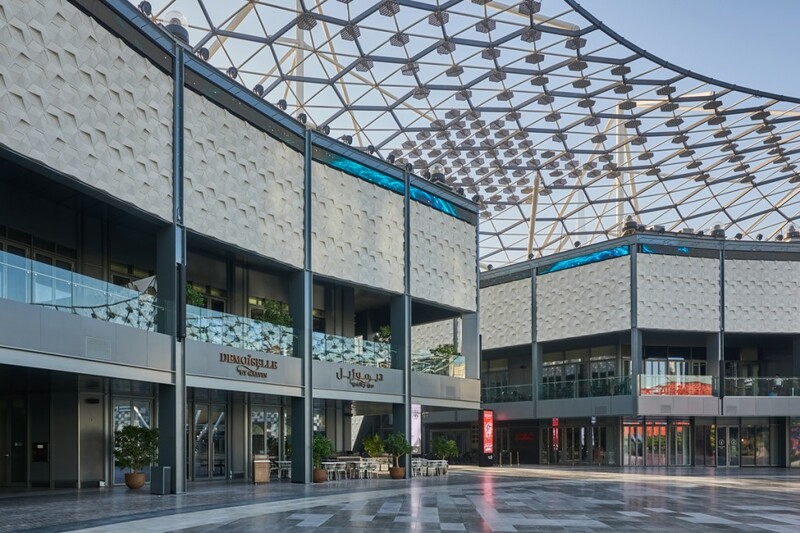 into are currently working on a second project for Galvins in Dubai.